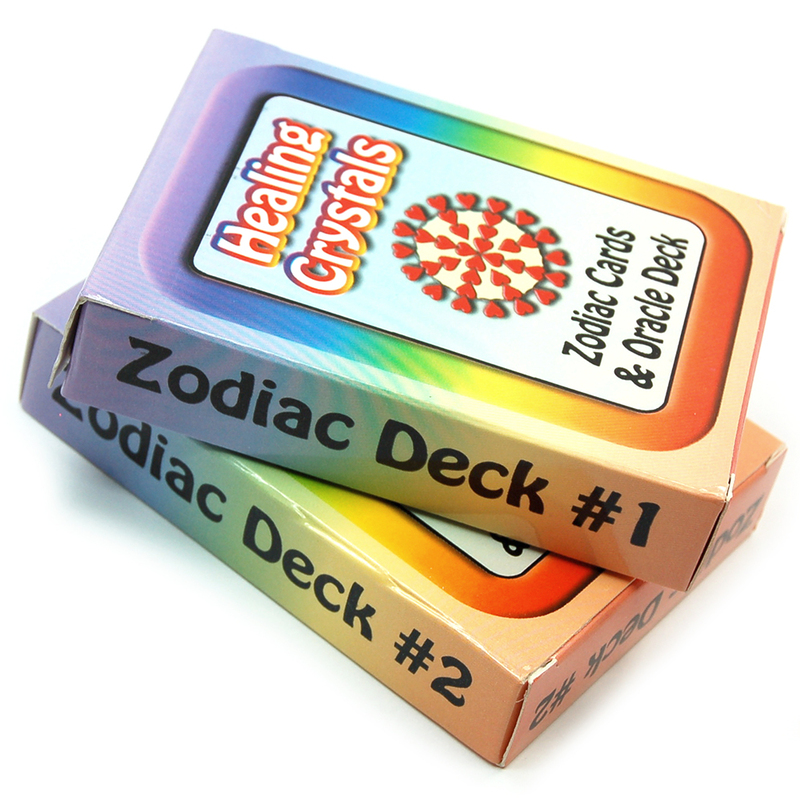 Zodiac Deck/Crystal Information Cards - These are the first 2 decks in a series of Zodiac Crystal Information Cards designed by the team at HealingCrystals.com. 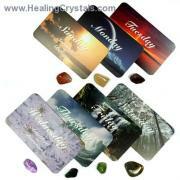 These Crystal Cards are beautifully illustrated with a picture of the zodiac sign and its corresponding crystal for a particular issue, as well as an affirmation. 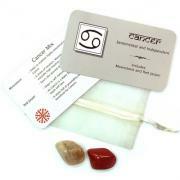 Cards in Deck 1 contain crystals for Birthstones, Health, Love, and Manifestation. 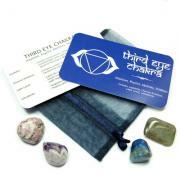 In Deck 2, there are crystal cards for Luck, Stress, Sun & Moon, and Transitions. Many believe that the nature of crystals is multi-dimensional and that crystals are not restricted by time and space in the same way that we are as humans in our physical body. 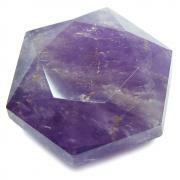 While it is always fun to hold a crystal in your hand, the vibration for every crystal is available for you by simply thinking and meditating on a specific crystal and by inviting the energies associated with that crystal to assimilate into your energetic body for your Highest Good. If you're using this as a Crystal Oracle Deck, remove the 7 summary information cards, and choose a card (with earnest intentions). Then, read the affirmation that goes with that crystal and see if that message speaks to an issue in your life right now.